Thank you to everyone who attended! 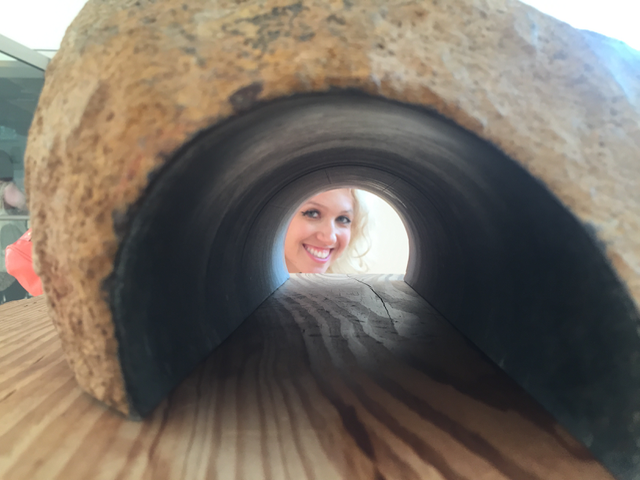 If you missed it, here’s a great blog post by co-founder Laura Pestronk about her day at the Noguchi Mindful Writing workshop. Writers of all genres and experience levels welcome. Composers, dancers, performers, and visual artists are also welcome to attend. The Noguchi Museum is one of our borough’s magical spaces. The space, designed by the late Japanese-American sculpture artist Isamu Noguchi, includes an open-air sculpture garden and several galleries, each with its own feel and family of Noguchi sculptures. The works of art and the spaces in the museum are mysterious, evocative, and playful. In short: this is an awesome place to spend a day creating. The workshop will begin with a brief contemplative exercise to open up the senses, and will continue with a silent walking meditation around the galleries of the museum, followed by writing prompts and discussion to get the ideas flowing. Participants will then have time to explore the museum independently and create writing about or inspired by specific works of art. The workshop will conclude with a sharing circle where writers can share their work from the day aloud. Please arrive at 12:50pm and meet us at the entrance. We will enter the museum as a group at 1pm. Bring something to write with and on. $20 total- $10 museum admission and $10 for the class.